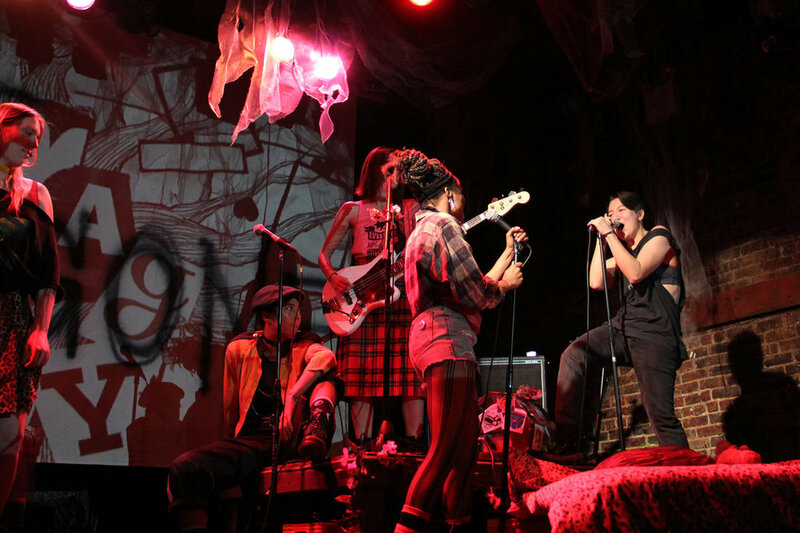 Seonjae Kim's new take on Sophocles' tragedy, told from the perspective of a Chorus Leader and her all-female punk band, reminiscent of the 90s' Riot Grrrl movement iconized by bands like Bikini Kill, Sleater-Kinney and Bratmobile. 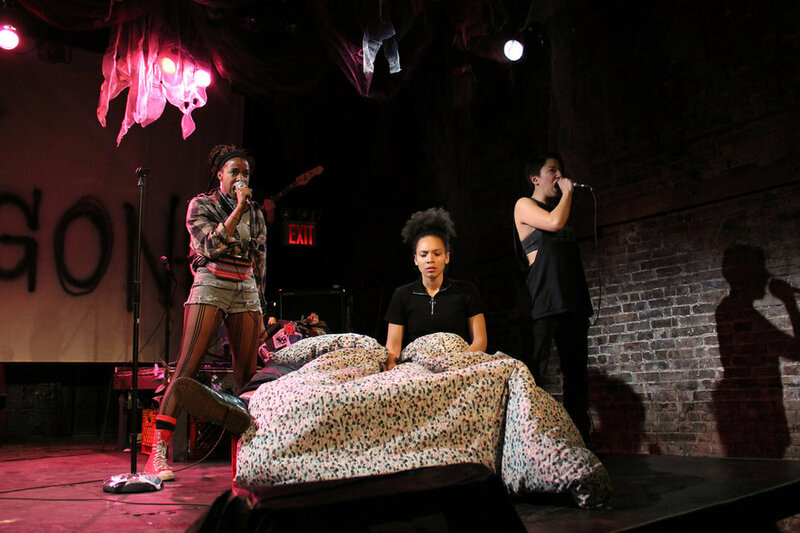 Through explosive live music, percussive movement and primal poetry, a chorus of young women tell the myth of Antigone through a feminist lens. 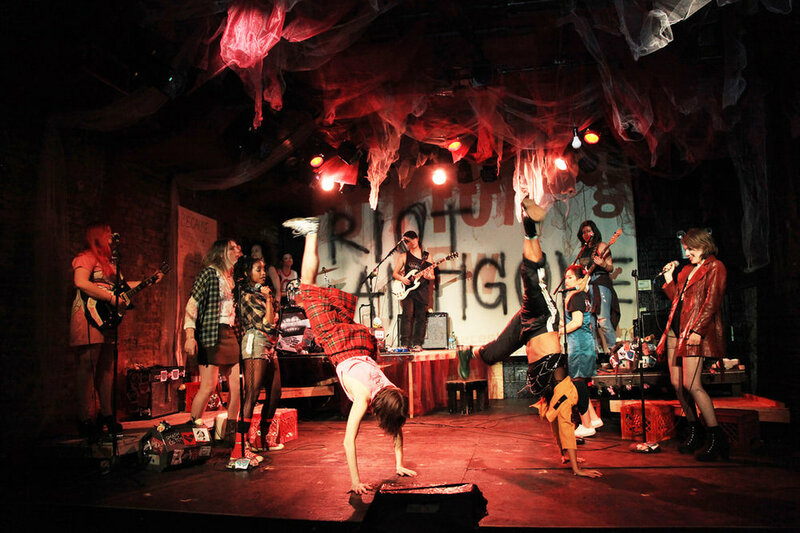 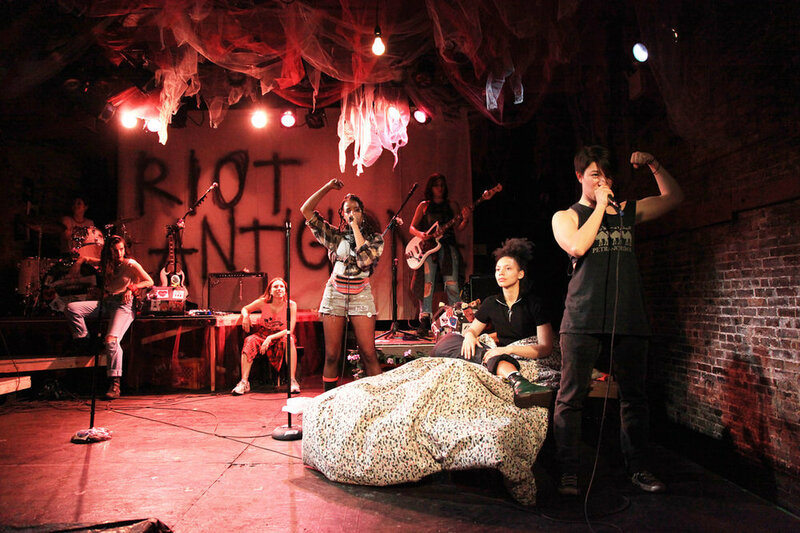 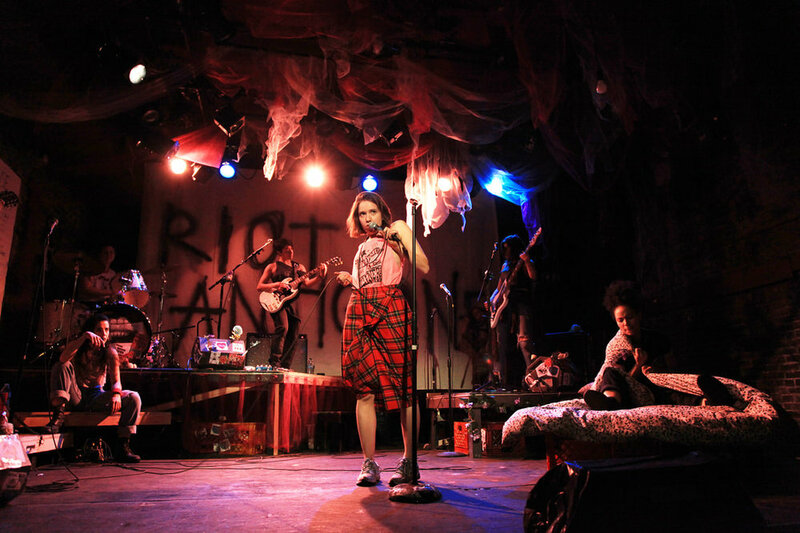 A ritualistic and passionate rock concert as well as an intimate coming of age story, RIOT ANTIGONE is about the power of an individual who dares to carry a revolution upon herself.